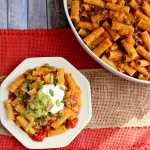 Need an amazing Shredded Chicken Enchilada recipe? Look no further! My Sour Cream Chicken Enchilada recipe is a fantastic dinner idea, and perfect for when you’re craving Tex-Mex! 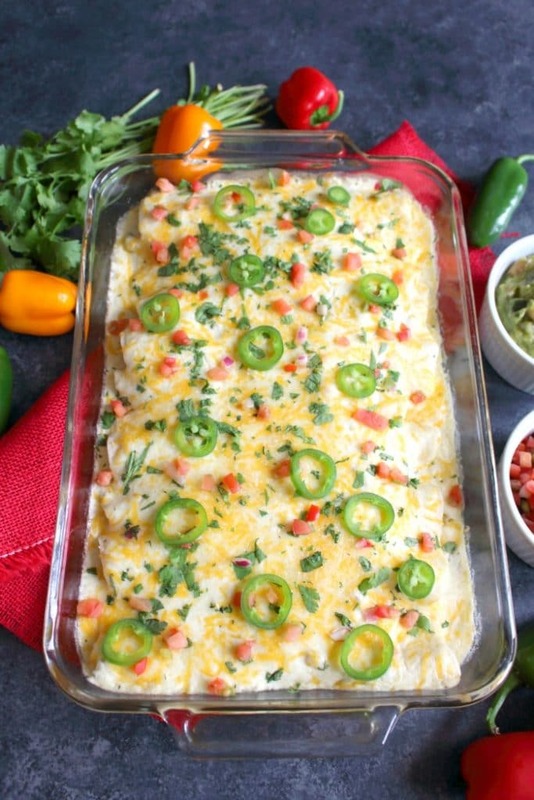 Have you ever had white chicken enchiladas? You’re definitely in for a treat! My easy Shredded Chicken Enchiladas with Sour Cream Sauce are the perfect mix of Tex-Mex flavor. 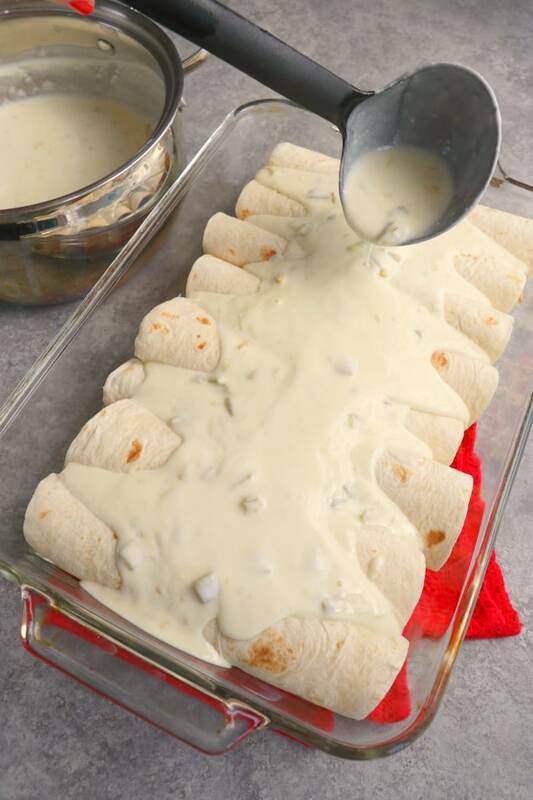 Much like a traditional enchilada recipe, these are topped with a creamy, delicious sour cream sauce. Stuffed with my recipe for Slow Cooker Mexican Shredded Chicken, this sour cream chicken enchilada recipe comes together easily, making for a fantastic dinner idea. 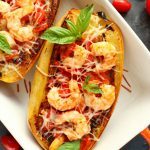 Follow DelightfulEMade on Pinterest for some of the very best Easy Dinner ideas! 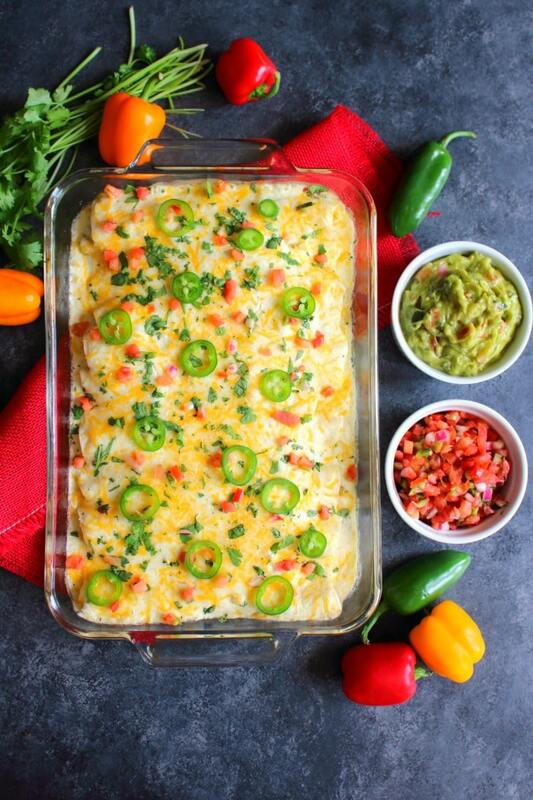 If firmly believe that a good enchilada recipe is a must for every home cook. My mom’s recipe for Sour Cream Enchiladas was one that I grew up with, and still remains a mainstay in my family. My mom’s recipe is made with seasoned ground beef, and while this is VERY good, every once in a while, I crave chicken enchiladas instead of the beef. I basically kept the recipe the same, with the exception of the Mexican shredded chicken. Wow!! It makes for the perfect filling in these shredded chicken enchiladas! There is absolutely NO DRY CHICKEN here! 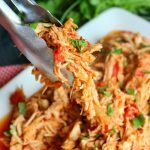 The crock pot Mexican shredded chicken is super moist, because it cooks with a mix of tomatoes, taco sauce, and a bit of liquid smoke for a subtle, smokey flavor that is fantastic. Wanna know how to make this fantastic Sour Cream Chicken Enchilada recipe? Lets jump right in! I will first start by saying that this is probably the easiest shredded chicken I’ve ever made. You simply put the raw chicken at the bottom of the slow cooker. Add salt and pepper to the top of the chicken, then stir together the sauce. Pour the sauce over the chicken, and then let it cook. The total time to prep this recipe is maybe 5 minutes. The slow cooker does the rest of the work for you. Soooooo super easy!! You can prepare the chicken earlier in the day, or even a few days in advance. 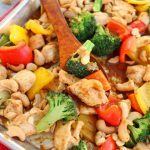 This recipe makes two pounds of chicken, so I will often make my Baked Chicken Tacos or Chicken Taco Salad with the first half, and then reserve the recipe of the chicken for this Sour Cream Chicken Enchilada recipe. You’ll start with adding about 2 oz. of the shredded chicken (or about 1/4 cup), to a medium tortilla. Then add about 1 Tbsp. of shredded cheese on top of the chicken. Roll together and place on the bottom of the baking dish, seam-side down. Repeat this process until you have 8-10 enchiladas. Are corn or flour tortillas used to make enchiladas? Corn tortillas are the traditional choice in making enchiladas. I have made these shredded chicken enchiladas with both flour and corn tortillas. In my experience, flour tortillas are less likely to tear when rolling with the filling, so I often gravitate to using flour. Feel free to use which ever you prefer – they will both taste fantastic! 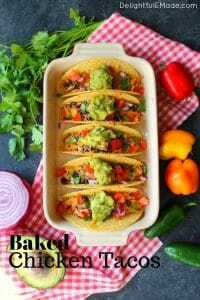 Which is healthier – corn or flour tortillas? Because corn tortillas are made with the whole grain of corn, they are less-processed, higher in fiber, vitamins and minerals. Because of these aspects, corn tortillas are better for you than flour. Flour tortillas are made with processed, refined grains of flour, and have less nutritional aspects than corn. Often times, corn tortillas are also slightly smaller, making them a little lower in calories as well. 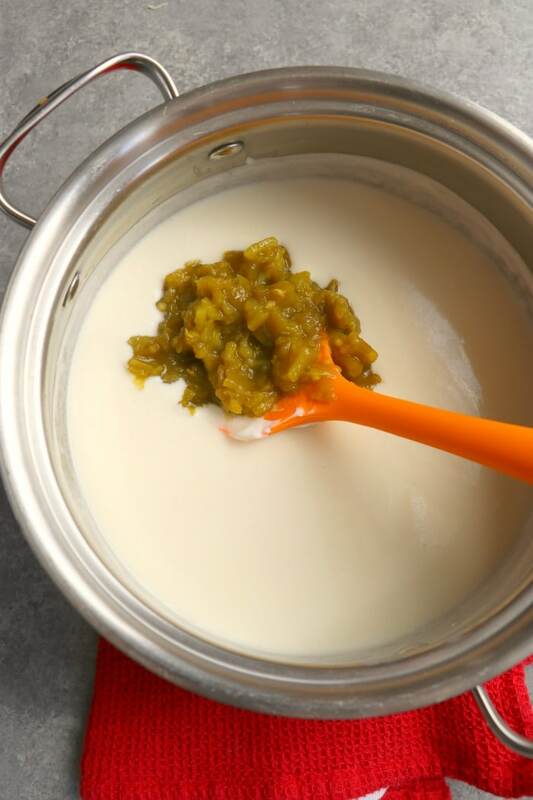 This sour cream sauce comes together quickly and easily. You’ll start by melting butter at the bottom of your sauce pan, then add the flour, creating a roux. This will act as a thickening agent for your sauce. Cook the roux for a minute, then add the chicken broth, and whisk together. Once this mixture begins to thicken (should only take a minute or two), then add in the sour cream and chilies. Whisk together, heat through, and then remove from heat. Once the enchiladas are rolled and placed into the baking dish, add the sauce over the top of the enchiladas. It’s a good idea to also add a bit of the sauce to the bottom of the pan. 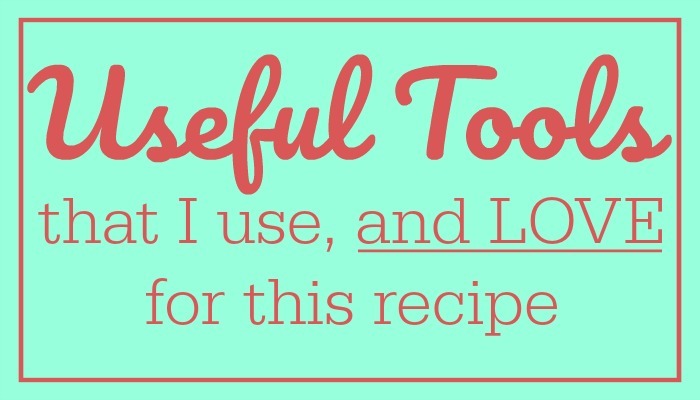 This helps ensure the enchiladas come out of the pan for easy serving. Add the remaining shredded cheese to the top of the enchiladas, then bake. Should I cover the enchiladas while baking? Yes! This is a good idea. Lightly spray a sheet of aluminum foil with non-stick baking spray (spray the side that is coming into contact with the cheese). This will help ensure the cheese does not stick to the top of the foil. Covering the enchiladas while baking helps keep the moisture inside the baking dish, thus ensuring the chicken and tortillas stay as moist as possible. Once the enchiladas are done baking, remove from the oven, and let cool for 5-10 minutes before serving. What kind of toppings can I add to my shredded chicken enchiladas? What drinks go best with enchiladas? There you have it! I hope you love these delicious Shredded Chicken Enchiladas as much as me and my family! It’s the perfect dinner option any time you’re craving Tex-Mex. Enjoy! 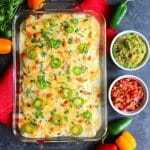 Pyrex Glass Baking Dish with lid – 2 qt (Amazon Link): This is one of my go-to baking dishes for enchiladas, lasagna and casseroles. This baking dish comes with a plastic lid, which is perfect for storing leftovers neatly in your fridge. Cuisinart Medium Stainless Steel Saucepan with Glass Lid (Amazon Link): This might be one of the most used pieces of cookware that I have in my kitchen! 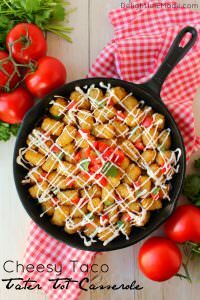 Perfect for the sour cream sauce that I use in this recipe, it does not scratch and comes clean easily! Need an amazing Shredded Chicken Enchilada recipe? Look no further! 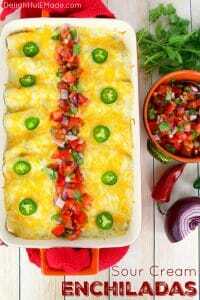 My Sour Cream Chicken Enchilada recipe is a fantastic dinner idea, and perfect for when you're craving Tex-Mex! Preheat oven to 350 degrees. Lightly spray a 9x13" baking dish with non-stick baking spray or coconut oil spray. Set aside. In a medium saucepan, melt the butter. Add the flour, whisk together and cook for about 5 minutes over medium heat. Add the chicken broth and whisk together until combined. Continue to cook over medium heat until the broth becomes slightly thicker. Add the sour cream and chilies and whisk together until smooth. To the prepared baking dish, add approximately 1 cup of the sauce to the bottom of the pan. Begin building the enchiladas by placing about 2 oz. 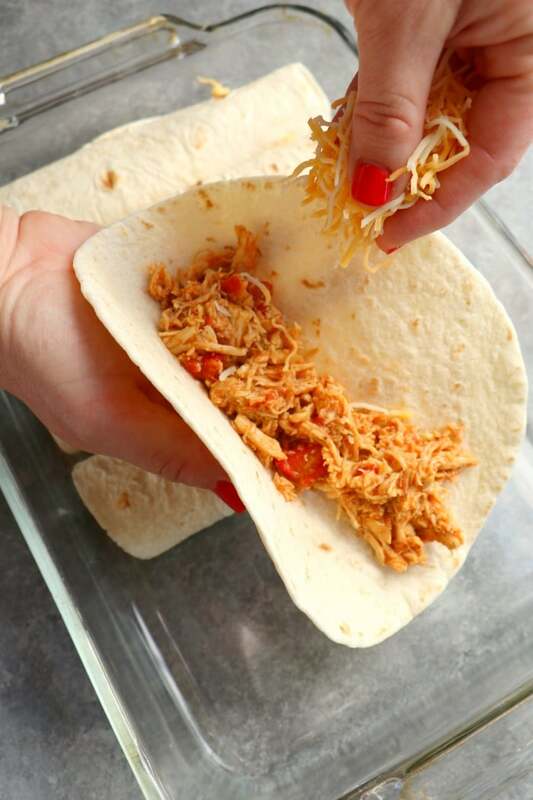 of shredded chicken into the center of a tortilla, add about 1 Tbsp. of the shredded cheese over the top of the chicken. Roll and then place into the bottom of the baking dish with the sauce. Roll the rest of the tortillas with the chicken and cheese in the center. Pour the remaining sauce over the top of the enchiladas. Add the rest of the shredded cheese over the top of the enchiladas. Bake the enchiladas for 20-25 minutes. 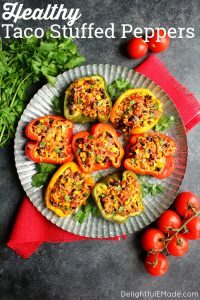 Remove from oven and let cool for 5 minutes before serving. 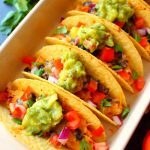 Top with your choice of toppings like cilantro, guacamole, pico de gallo salsa and jalapenos. 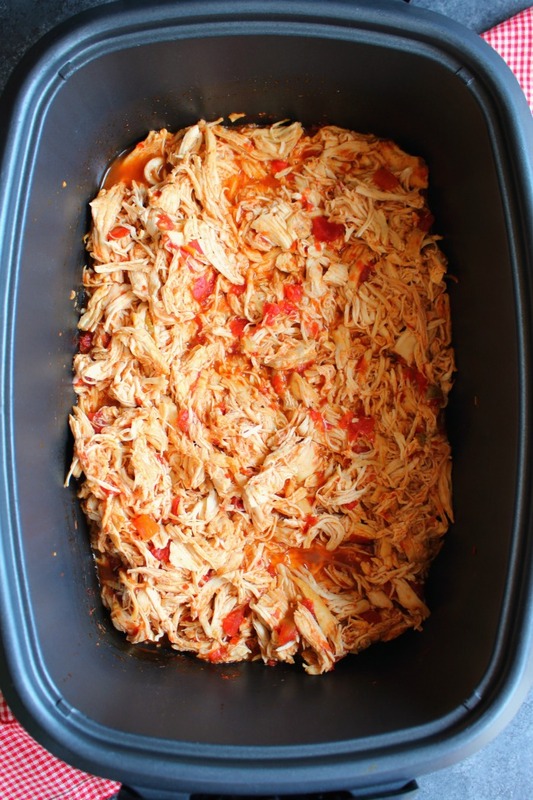 Be sure to reference my recipe for Slow Cooker Mexican Shredded Chicken for how to make the chicken filling. 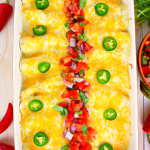 These look like a great meal - I love chicken enchiladas. Thanks for sharing at the What's for Dinner party!! Have a fabulous week.